Special CD package deal! 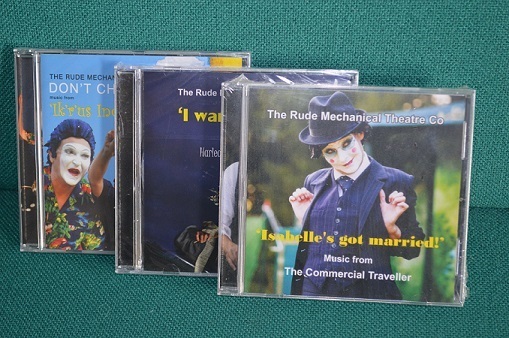 Three CD's of Rudes' music from three great shows: 'Don't Chase CRows!' from 'Ik'r'us Inc','I Want! I want!' from 'Harlequin Goes to the Moon' and 'Isabelle's Got Marride!' from 'The Commercial Traveller'.